We called it last week. Here's the video walkaround. 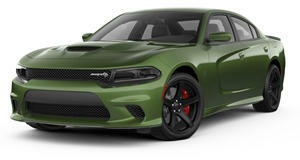 Last week we learned there was an excellent chance Dodge had plans to unveil a Charger widebody concept at this year’s Spring Festival Lx in Pomona, California. Dodge could only confirm to us at the time that a new concept would debut at the event in order to gauge feedback for a potential production version. Some social media videos seemed to confirm a widened Charger as well. However, there has yet to be an official announcement. But fortunately the folks at Mopar Insiders and video contributor "R/T Life”, we can bring you this video walkaround of the Dodge Charger Widebody "design study.” Although the sedan still has a body wrap that camouflages specific styling changes, it’s not too difficult to see the sedan’s new look. And like its widened Challenger coupe sibling, the new design looks pretty incredible. 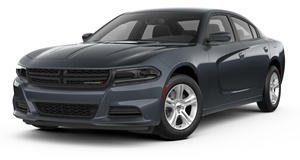 The Charger already had a solid stance, far bolder than just about any other full-size sedan on the market. The sole exception might just be the Chrysler 300. Imagine that. The widebody treatment definitely gives the Charger a "beefier” overall look. Those more aggressive rims and fender flares make a significant impact. A few other additions we can make out so far are a rear spoiler, new side sills, and slightly altered front and rear fascias. Again, this is pure speculation on our part based on what we can see in the video. We’re still waiting for official details from the automaker. 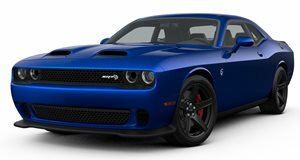 What’s under the hood is also a mystery at the moment, but we’re willing to bet it’s the 6.2-liter supercharged Hellcat V8. Anyone willing to bet against that? In general, we very much like what we’re seeing here and, hopefully, a production version is just around the corner. We’re not even so sure why Dodge thought it necessary to gauge public reaction for something like this; the design results speak for themselves. Plus, the Challenger widebody has been a smash hit. Why wouldn’t the Charger be as well? We’ll bring you official details once we have them.